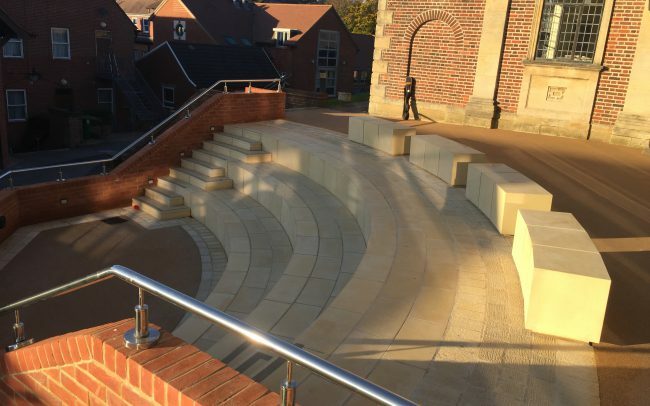 We have recently supplied radial amphitheatre units, staircases, paving and cast stone seating pods to the new performing arts centre extension at Caterham School, London. 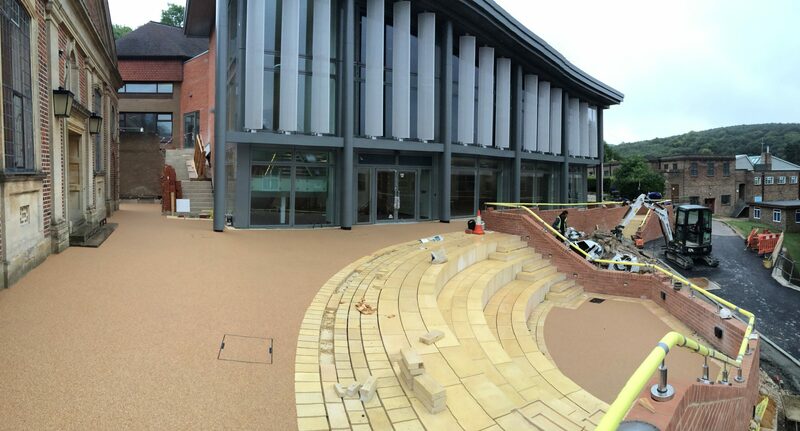 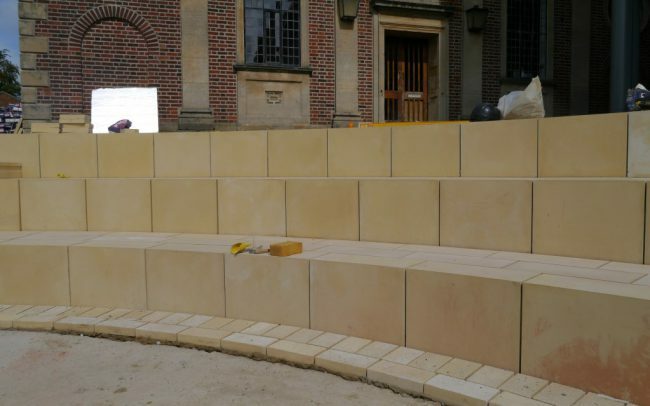 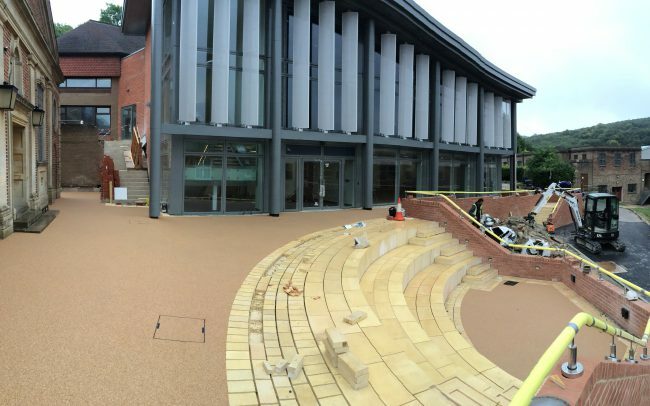 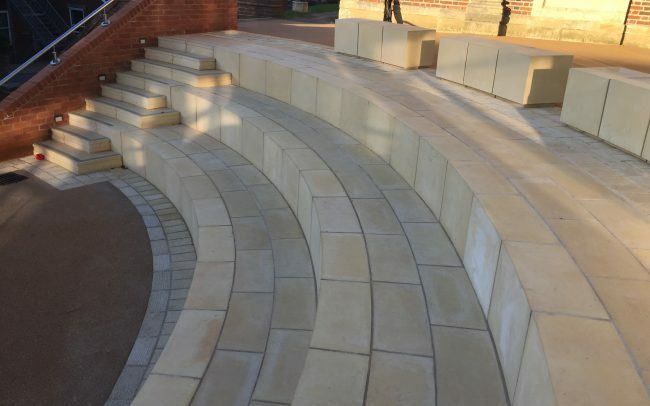 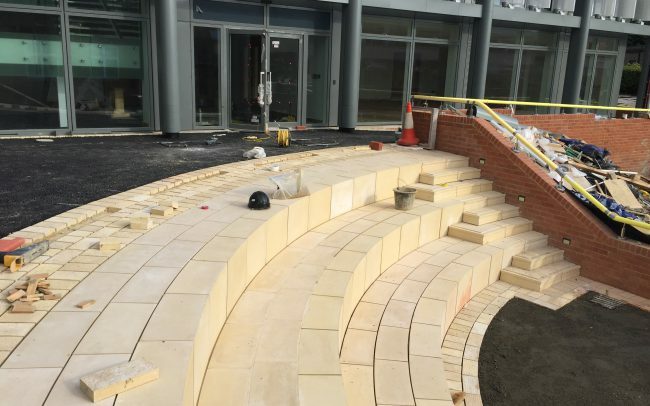 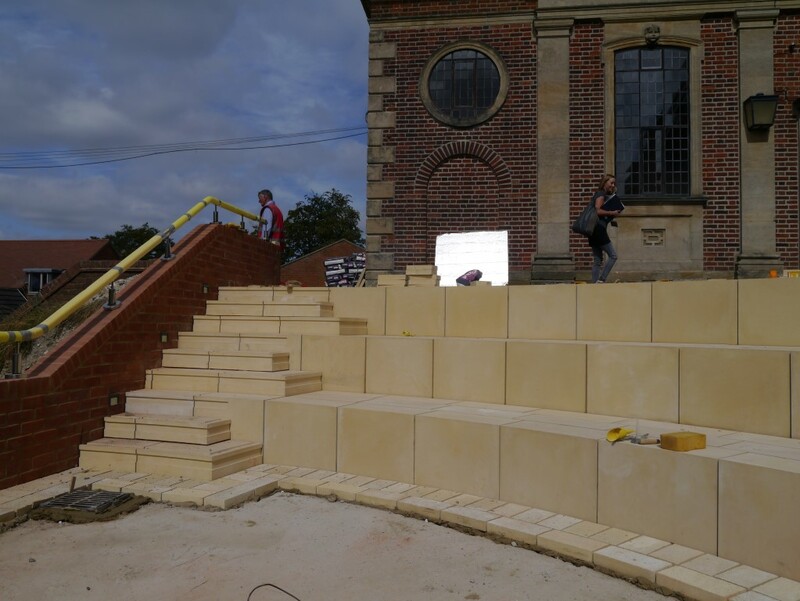 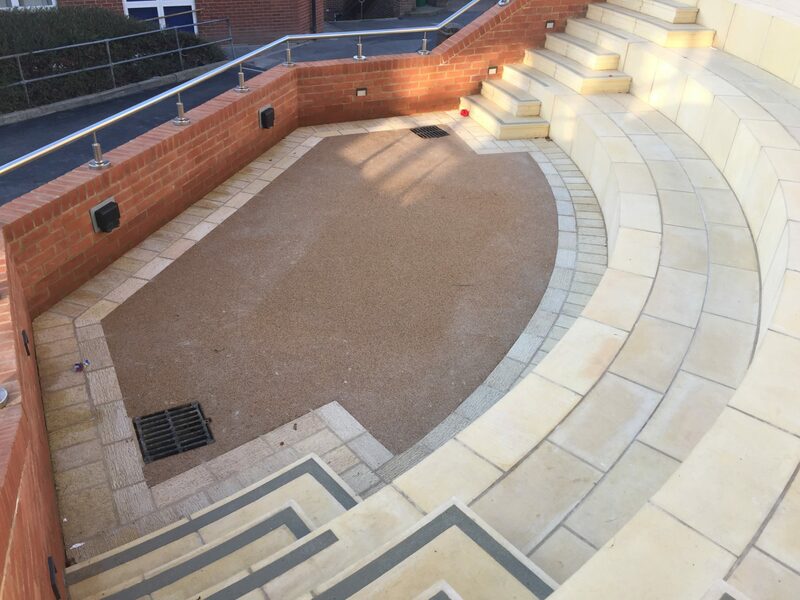 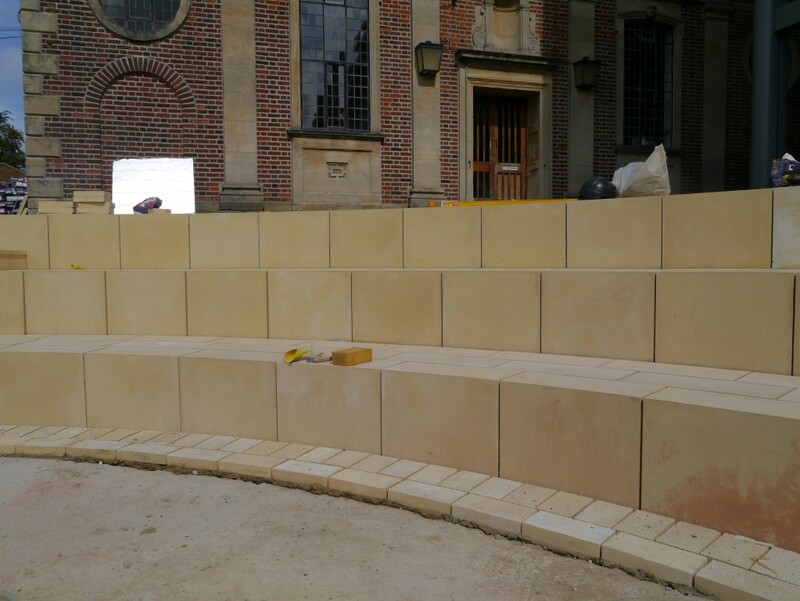 Working alongside Miller Bourne Architects and Tasker Catchpole Construction we have supplied a number of high quality cast stone units to form a curved amphitheatre combining radial L shaped units alongside our step modules, paving and setts. 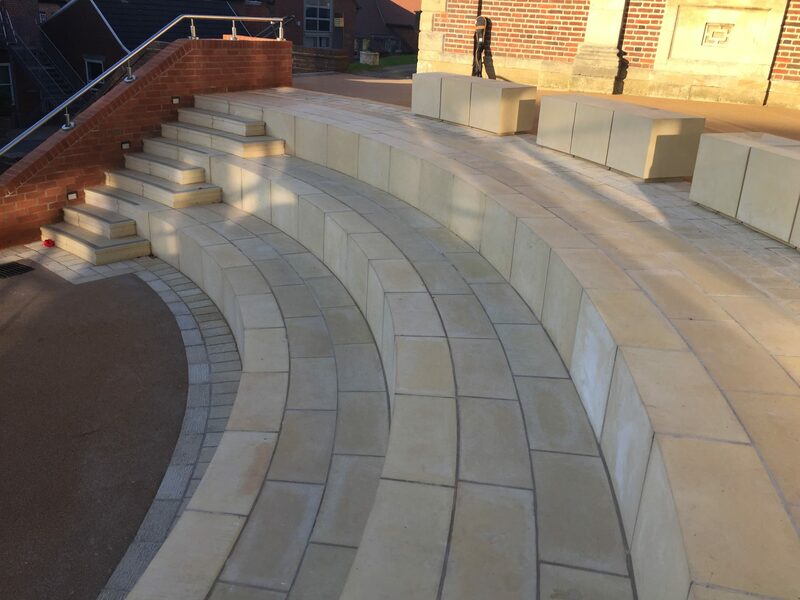 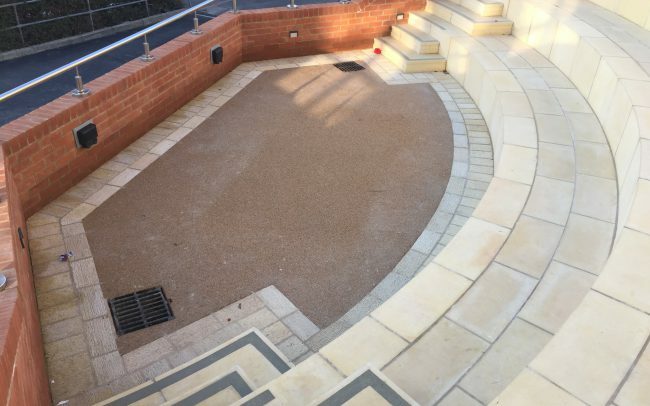 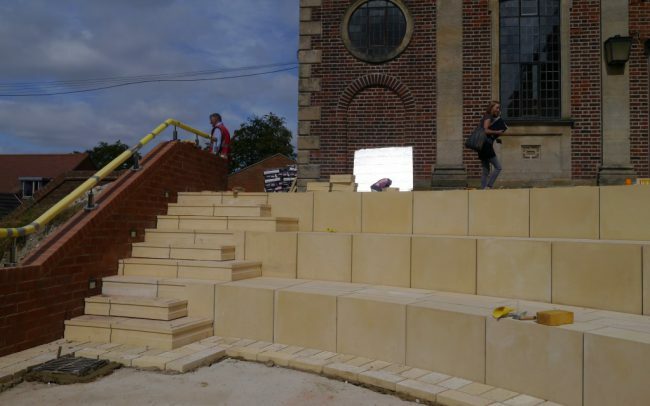 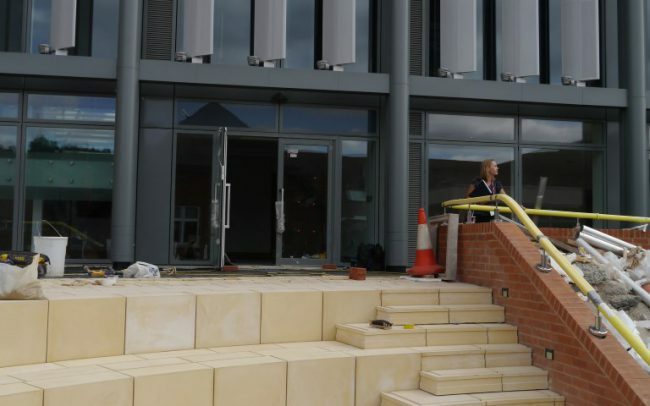 Alongside the amphitheatre Blanc de Bierges supplied L shaped step units to create 3 external staircases including matching tactile paving to meet DDA regulations. 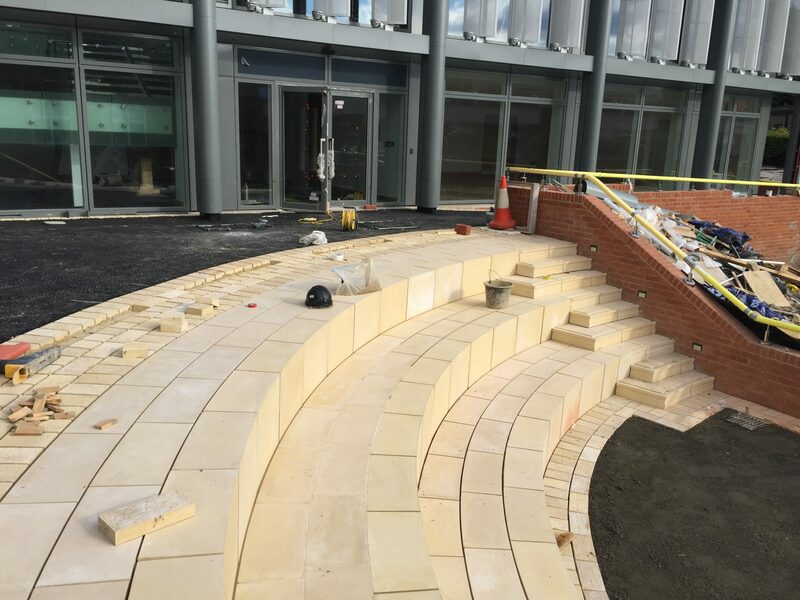 Blanc de Bierges provided full design drawings in the form of General Arrangement and individual unit details for the contractor to utilise during the installation stage of the project to ensure a smooth installation. 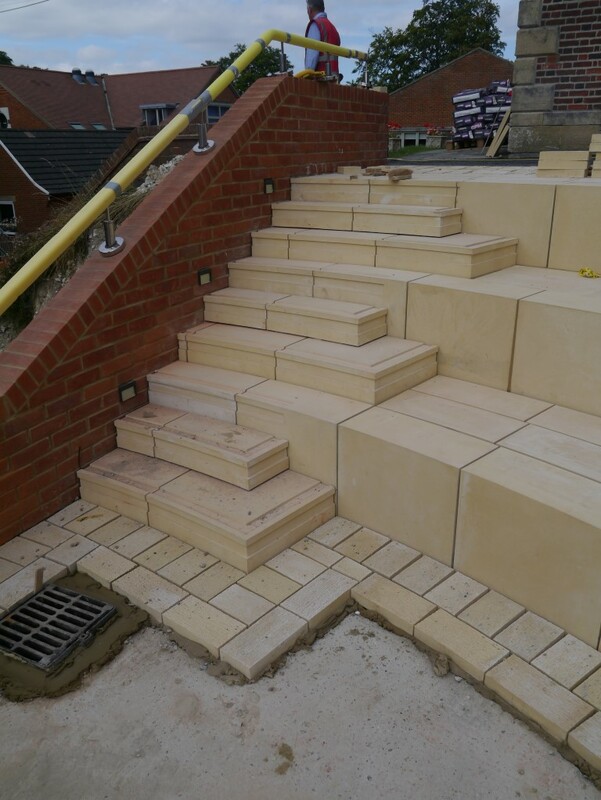 Providing just in time deliveries to site allowed installation to progress without reducing storage on an already tight construction site. 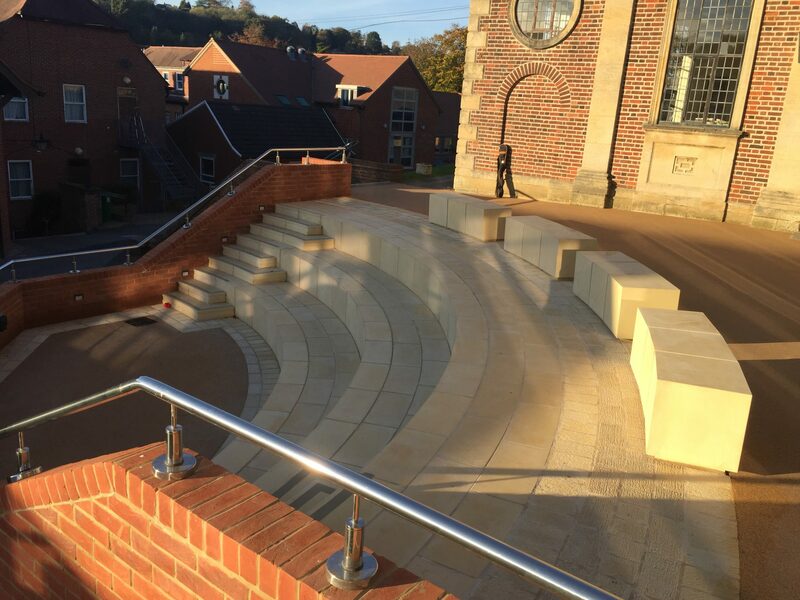 The completed project was officially opened by film and theatre actor and director Simon Callow CBE. 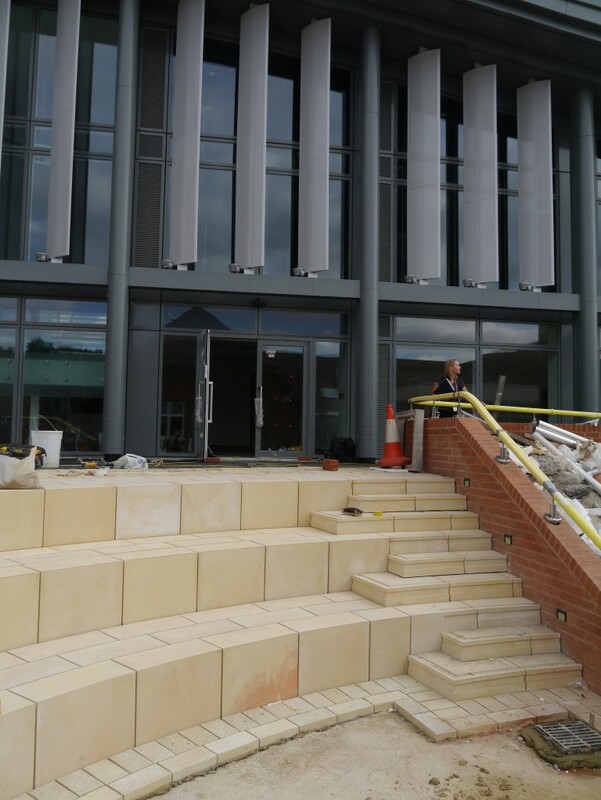 The gallery below shows a number of photos taken during the construction phase of the project. 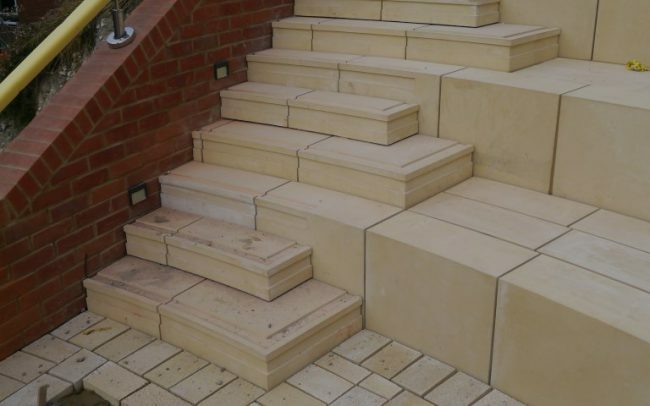 If you need assistance with your project and have a requirement for any cast stone products then please get in touch!